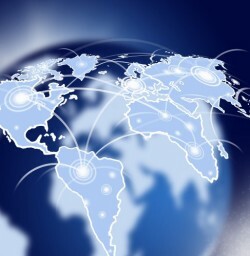 Globalized business is a fairly new concept, in the broad scope of things. And it's not often that American companies operating overseas are acquired by larger businesses, but that's exactly what happened when Planet Depos bought American Realtime Court Reporters(ARCR), according to the former's press release. ARCR was founded in 2003 in Japan as a way to assist attorneys from the United States conducting depositions or hearings in the country and surrounding regions. The firm hires realtime court reporters and even videographers, which aid with video deposition services, allowing for international communication during these meetings. Through the Planet Depos acquisition, the conglomerate now has 19 offices across the United States in addition to outposts in Japan, South Korea, Taiwan, Hong Kong, Guam and Saipan. Planet Depos may be getting some new business soon, as the Queensland court system in Australia may be outsourcing its court reporting jobs to either a different province or overseas, according to the Fraser Coast Chronicle. This is occurring despite vehement opposition from some lawyers in the province. "I just think it's unbelievable that in 2012 this service has the potential to be outsourced to someone overseas," Nick Wellington, an attorney in Queensland, told the source. "I think it's wrong." As many industries become globalized through innovations in technology, lawyers in the Midwest can represent clients internationally through not only court reporters abroad, but also videoconferencing technology right at home. By partnering with Wisconsin court reporters that offer video deposition services, different parties can conduct hearings and depositions without having to travel. This entry was posted on Wednesday, December 5th, 2012 at 10:58 am	and is filed under All Posts, Court Reporting News. You can follow any responses to this entry through the RSS 2.0 feed. You can skip to the end and leave a response. Pinging is currently not allowed.